The Pence family's neighbors hung the above banner on a pillar at the end of the two houses' shared driveway, The Aspen Times reported Friday. 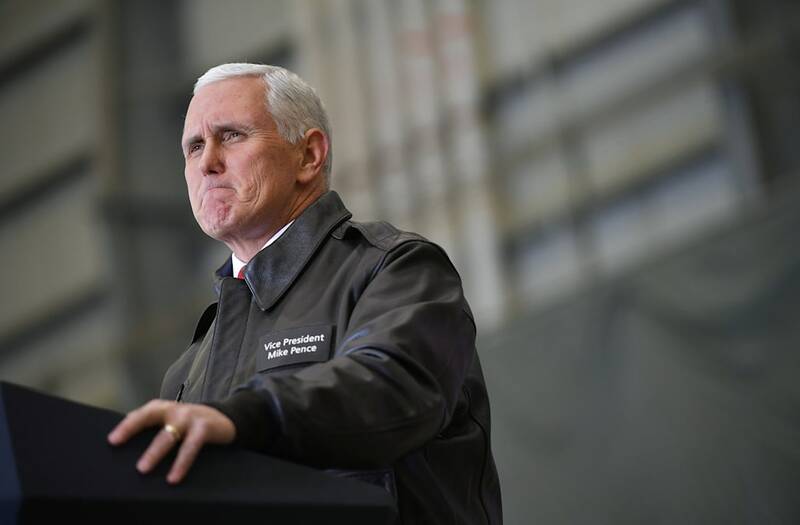 The words are a riff on President Donald Trump's campaign slogan, "Make America Great Again," but serve as a clear message to Pence who has openly held anti-LGBTQ beliefs during his time in the public office. The banner was put out on Wednesday or Thursday after the Pence family had already arrived. Pitkin County Sheriff Joe DiSalvo told The Aspen Times that a deputy was there when a neighbor put out the banner. "[The neighbor] was real sheepish and thought [they] might be confronted by the Secret Service or deputies who'd tell [them they] couldn't do it," DiSalvo told The Aspen Times. "When they said, 'We're not here to control your free speech rights,' [the neighbors] came out with chili and began feeding them." The "Make America Gay Again" banner was placed there by the daughters of the couple who live in the house as well as one of the daughters' girlfriend, the daughter's girlfriend told The Aspen Times. "They've been really nice to us," DiSalvo told The Aspen Times. In October, Trump joked that Pence "wants to hang" all gay people, according to a New Yorker report. Pence, who describes himself as a Christian, a conservative, and a Republican (in that order), has long held anti-LGBTQ views. Over the years, he has actively supported legislation against marriage equality, has said being gay is a choice, has voted against discrimination protections for LGBTQ people, has supported conversion therapy, and said that gay couples and marriage equality signals "societal collapse." LGBTQ people have peacefully expressed their disdain for Pence's views previously, throwing a queer dance party outside his house in Washington D.C. in January after being elected alongside Trump. A few months earlier, neighbors hung rainbow banners outside their houses for Pence to see.